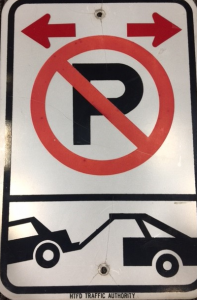 Double Arrow/No Parking – These signs indicate that vehicles may NOT park at all! 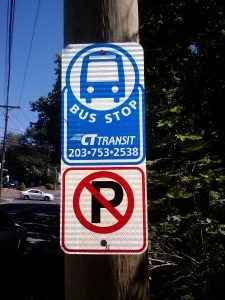 Bus Stop – This location is a designated bus stop. No standing regulations apply. This means that you may NOT wait or stop at curbside. You may also not park at all. 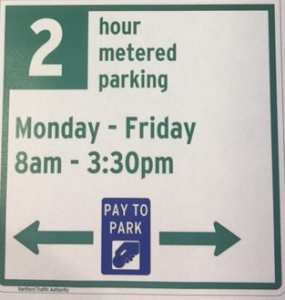 Metered Signs – These signs represent metered parking designated during certain hours of the day indicated on the signs. 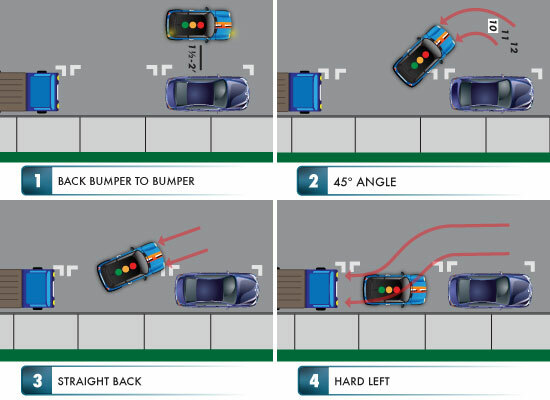 Example: you are only able to park on the street between 8AM – 3:30PM for a MAXIMUM of 2 Hours. After 3:30PM, you are not allowed to park AT ALL! 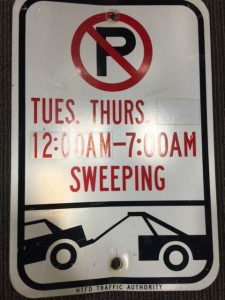 Street Sweeping – These signs indicate there is street sweeping and NO PARKING is allowed during certain times of the day indicated on the sign. No Parking – The first sign represents NO PARKING TO THE RIGHT of the sign during certain hours listed. The second sign represents NO PARKING AT ALL TO THE RIGHT of the sign. 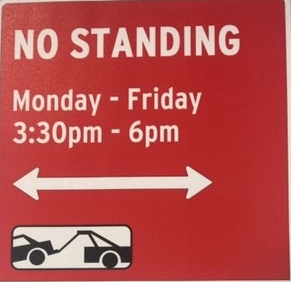 No Standing Anytime – Sign indicates that vehicles may NOT park idling/sitting in the car with harzards on, etc. at this location. You may not wait or stop to load/unload packages or merchandise at curbside. You may stop to expeditiously drop off or pick up passengers. 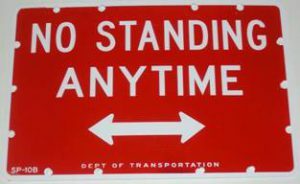 No Standing – Sign indicates that vehicles may NOT stand in this location during the times posted. Even Signs – This sign indicates that vehicles may park on the even side of the street during certain days and times. 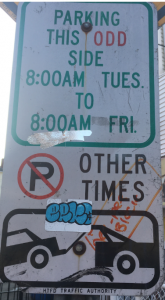 There is NO PARKING during days/times not specified on the signs. Parking during days/times not specified on the sign will result in your vehicle being towed. 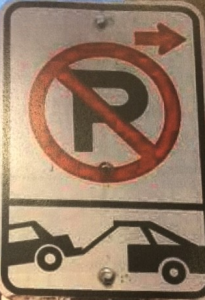 Odd Signs – This sign indicates that vehicles may park on the odd side of the street during certain days and times. There is NO PARKING during days/times not specified on the signs. 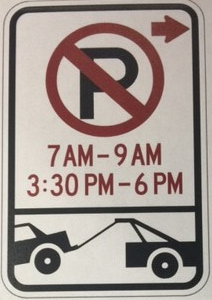 Parking during times not days/times not specified on the sign will result in your vehicle being towed. Yellow No Parking Sign – Temporary no parking sign indicating NO PARKING AT ALL while posted. Do not park in a loading zone, in driveways, on pedestrian ramps, or in a bus lane, etc. Please NOTE: For large vehicles, oversized vehicles and/or big body trucks- off street convenient parking is available at the MAT garage, Chapel street Lot, Main street Lot, Sheldon street Lot and the Library Lot ALL located in the downtown area.